Looking for a boot that'll survive your typical workday when your typical workday involves everything from hazardous terrain to blood-borne pathogens? Maybe you're an EMT, a crime-scene investigator, or a cop. Maybe you're a specialist in the Zombie Apocalypse. Wha ... (see full details) (see specifications) #DNN23822. Looking for a boot that'll survive your typical workday when your typical workday involves everything from hazardous terrain to blood-borne pathogens? Maybe you're an EMT, a crime-scene investigator, or a cop. Maybe you're a specialist in the Zombie Apocalypse. Whatever your calling, Danner 23822 Men's Black Lookout 8” Waterproof Leather Work Boots have got you covered. Really. Check out the technology that goes into making this footwear the best in the business. They're constructed with a patent-pending plush dual-density footbed that sits low within the platform of the boot. This results in a fit that's responsive to the pressure of your foot. In addition under-foot venting gives you maximum airflow, and a wider-than-typical toe box lets your feet relax in place while being fully supported. Because your workday can throw some twists and turns your way, these superior-protection boots provide body-fluid-borne pathogen resistance that meets or exceeds NFPA 1999-2013 sec 13.7.4.2.7 and ASTM F1671-13 standards. These heavy-duty boots are completely waterproof thanks to the Danner Dry liners, which literally pull moisture away from your foot for fast evaporation and continued comfort even during long wear. They're cushioned for comfort, too. In addition the outside is equipped with durable, deeply-grooved traction on the soles creating the best grip even in uncertain terrain. The uppers stand 8 inches tall and are manufactured with full-grain leather that polishes to a professional shine. This leather is also treated for waterproof resistance. Last, but not least, ripstop ballistic nylon combines with the leather for flexibility and durability that moves with your feet and calves. We won't ask what it is you do for a living. We're probably not qualified to know that information, anyhow. All we know is you deserve the best protection that boot technology today can provide, and we're here to say that Danner 23822 Men's Black Lookout 8” Waterproof Leather Work Boots offer everything you need. Now go back to your super-hero-type activities, you EMT-Police-Crime-Scene-Zombie-Protector. We'll watch from here. It is a real pleasure doing business with a professional and courteous company that does what they say and gives that extra effort for a customer! Your customer representatives are a real asset to your company and I will pass on my experience dealing with Terrie and Working Person to my friends and co-workers here at the NCDOT! Good Job! 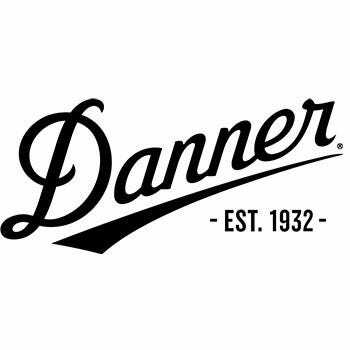 Danner Boots: Men's Waterproof 8 Inch Bio-Safety Lookout Work Boots 23822 is being added to your cart.